Is your goal to get a flatter belly? If it is, you may already know that there is a ton of information for how you can achieve that goal. You may think that you only need to eat healthier but there is much more to getting a flatter belly than just what you eat. You need to combine appropriate exercises with the proper foods to make sure you reach this goal. If you have been talking with others about losing weight or getting a flatter belly, you may have been given a recommended number of calories you should take in every day. If you know what number of calories you should be getting each day, you should not get that much. You should aim for getting less than that recommended amount. Think about this. If you have been meeting that recommendation and you are stuck at a certain weight, you probably need to lower your intake of calories a bit more. However, you also should not reduce the calorie intake too much or that could be unhealthy for you. When you choose to lower the number of calories you get, only do so by about ten percent. You may think that cutting out a lot of your food and calories will help you to lose weight. If you cut out too much, your body feels starved and will store fat instead of getting rid of it. If you want to get a flatter belly, there are many exercise routines that can help. However, your main exercise routine should center upon weight resistance exercising. These exercises are going to work out the muscles in your body, especially around your belly. You can do these exercises on your own or you can use added weight to them as well. Some of these exercises that are best done with added weights include lunges, squats and other similar exercises. The exercises that are best done without added weights are pull-ups and push-ups. While it may not seem right, you can get a flatter belly by working out your legs. When you are trying to lose weight, it is burnt off with layers. This means you need to focus on resistance exercising sessions three days a week for about one hour each day. You can’t do it all in one day. Another type of exercise you should be doing if you are trying to get a flatter belly is interval cardio exercising. The best exercises that are included in this group are swimming, jogging and walking. When you are doing these exercises for a flatter belly, make sure you do them in intervals. For example, you will run as fast as you can for thirty seconds and then walk for thirty seconds. Do this repetition, ten times and then switch to another exercise. If you are going to do this with swimming, swim all the way across the pool and back before stopping. Then stop for ten seconds and do it five more times. By exercising in intervals, you are working your body harder in a shorter amount of time and then you get a break. When you do these intervals, you are able to burn off fat much quicker than with many different types of work outs. The last tip here today that will help you get a flatter belly is not to drink alcohol. If you drink alcohol, especially beer, you probably already know that you have a belly that shows it. If you stop drinking alcohol, in just a couple weeks, you will start noticing a much flatter belly. It may not seem like ending your consumption of alcohol can help you lose weight but it can. 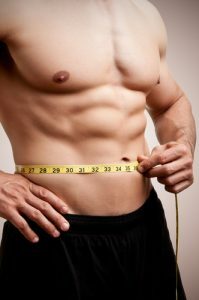 You have been working on improving the look of your body and now you are working on getting a flatter belly. If you want to make progress quicker, these are the tips that you should work on. Start with all of these today and make a plan that will help you to stick with them as well.